Around here in Kansas City, it is just FAR too cold this week to do anything outside. From what I can tell, it looks like many of you are probably also in the deep freeze! Well, even if it isn’t too cold where you live, you can still get out and do something fun with your family and friends! Update: The coupon will arrive in your in-box within 1 – 3 business days. You can’t print it off immediately. If you sign up for the AMF e-Club, you will get a coupon good for a free game of bowling for up to 10 people (find a location here)! Plus, on your birthday every year, you will get a free gift. 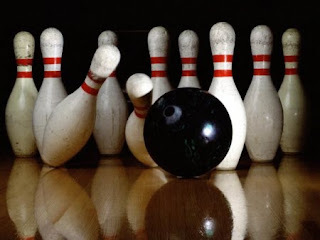 I will admit I haven’t bowled in years — bring on the gutter balls! !